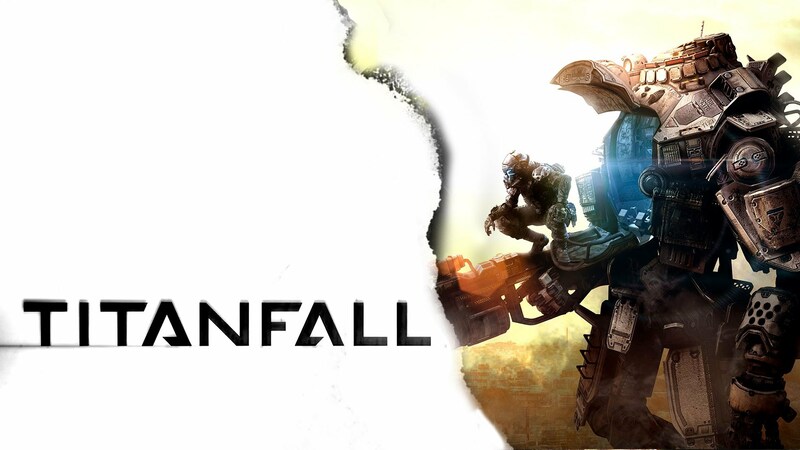 Every good thing you’ve heard about Titanfall is true. I stood in that line for a good hour, the loud booms and blasts from booths all around me and the throngs of people constantly bumping into me wore me down. Was it worth it? Why was I even standing in that line? I don’t like Call of Duty very much anymore. My feet were killing me. I was standing in line for an hour. Was it worth it? I didn’t believe it, or didn’t want to believe some of the core talent that brought us Call of Duty 4: Modern Warfare could make a full-on multiplayer game that was engaging for me. I thought I was done with multiplayer shooters, but Respawn has crafted something pretty damn cool with Titanfall. I chose from one of three class types and immediately set off exploring the map and figuring out the controls. Luckily, controls echo Call of Duty in such a way I very quickly felt at home moving around. The movement might actually be one of the best parts of the Titanfall demo; I was able to scale buildings and bounce between walls with ease. I always moving, always dodging, and the enemy didn’t know where I was headed next. It seemed like anything within the fairly large-scale map could be climbed, vaulted over, or otherwise maneuvered around with ease. It was fluid, fun, and frantic as hell. Shooting more or less feels like Call of Duty — which I feel incredibly weird comparing it to, since even though they are similar, the differences are pretty major — with iron sights, slight recoil, and other incredibly similar things. But, hey, don’t fix what isn’t broken, right? With all the additions to the formula of running and shooting guys, the gunplay still feels fresh and exciting. Now let’s get down to it: the Titans. Everyone gets one. They aren’t tied to killstreaks or perks or any of that business. There’s a cooldown timer in the bottom left of the screen ticking down until I could spawn my Titan into the level. Once I spawned my Titan it rocketed down from above and crashed right next to me. I climbed inside — or more the Titan picked me up and placed me inside with his giant robot hand which I really liked watching — and started moving through the city streets decimating everything in my path. That was until two soldiers and a Titan cornered me. They all started firing at once and I lost sight of one of the soldiers. The Titan and I squared off, me with my rocket gun, him with his machine gun. Strafing around each other constantly firing, I saw one guy jump towards me. I dashed backwards firing a rocket right at him, luckily hitting him, unluckily I was out of rockets and needed to reload. Another Titan shows up and I’m screwed. My teammates are fighting a skirmish on the other side of the map. A prompt shows up telling me to eject from my Titan. Suddenly bright white light fills the screen as I step outside for the first time in minutes. I’m in the air falling down with two Titans right next to me. I hop on top of a nearby building and leap directly onto the enemy mech, not quite sure what plan I have, but know it’s my only option. Suddenly I’m riding on the back of the enemy Titan, prying off panels and begin firing my machine gun into it. He’s doomed. As the Titan is about to explode I leap off of him, propelled upward by the blast and onto a nearby roof. I check the minimap a notice an enemy group advancing. I race over to their location, free running between buildings and gracefully land right next to them. It turns out this is a group NPC soldiers aiding in the battle. I chew through them with ease, gaining points (but not entirely sure what those points do). One of my favorite details of Titanfall happened within the final moments of the match as our team was pushing the enemy to their extraction point, about to claim victory. I was on one side of the street, a friendly Titan in the middle, and a building I wanted to scale on the opposite side. I leapt in the air and hopped on the Titan, grabbed on for a moment, killed one enemy running toward us, then immediately jumped from the Titan to the building I wanted. It was all smooth and dynamic, adding a layer of team dynamics to a game I otherwise just kind of soloed my way through. It looks beautiful, specifically the smoke and explosions being some of the best I’ve seen. It runs smoothly and the combat always feels natural. Titans aren’t super powerful, but just one more weapon you can use on the battlefield. It’s a much different game than Call of Duty, a much better game than Call of Duty, and I really want to play more right now. Respawn Entertainment’s Titanfall is releasing sometime in early 2014 on the Xbox One and PC, so I’ll have to wait a little while longer.